MoTAS Weekly for 1/14/15: Reserve Your Space at the MoTAS Shabbat Dinner on 1/23 Now! The Men of TAS Shabbat is rapidly approaching — it is now just a week and a half away. There is only one week left to reserve your space for the MoTAS Community Shabbat dinner before the service — prices will go up at 3pm on Thursday 1/22. Join with MoTAS for a wonderful dinner catered by Silver Spoons catering (which is run by a Past President of the Temple Beth Hillel Brotherhood). The cost is $15 for adults, $10 for children. The menu will feature Israeli Salad w/Lemon Vinaigrette Dressing, Chicken Kabobs w/Tzatziki Sauce, Basmati Rice, Ratatouille, Pita Breads and Hummus, Fresh Fruit, and the usual Shabbat treats. For more information and to make reservations, visit http://shabbat.tasnorthridge-motas.org/. The actual service is rapidly taking shape, but if you are a Man of TAS, we would still love to have your participation. Drop a note to Bob Levine at pastpresident@tasnorthridge-motas.org to join us in leading the celebration of Shabbat. 2015 is a very special year — it is the 50th anniversary of the creation of Temple Ahavat Shalom through the merger of North Valley Reform and Temple Beth Torah of San Fernando Valley. The big TAS celebrations will start in August 2015, and from what I hear they are going to be spectacular. Keep watching the Menorah for details. In support of the 50th Anniversary planning effort, MoTAS is looking for a MoTAS member who is willing to be a liasion between MoTAS and the planning committee. You would attend planning committee meetings, and report back to MoTAS leadership on the activity and how to integrate MoTAS. If you would like to volunteer for this position, please drop me a note at president@tasnorthridge-motas.org. Additionally, I’m looking for a Confirmation class student who is interested in history to research the history of the Men’s organization at TAS, which over the years has gone by the names “Brotherhood”, “Men’s Club”, and the current MoTAS. We have some information going back to the mid-1990s, but nothing before. The task would involve finding the temple’s archives (especially newsletter archives), and reviewing them to rebuld the history. The student would be invited to present their research at a future MoTAS meeting, and would earn Avodah credit. If you would like to volunteer for this position, or know of someone who would like to do it, please drop me a note at president@tasnorthridge-motas.org. This task is open to either gender. Lastly, MoTAS is getting a head start on the celebration with our February speaker. Recall that I indicated that TAS was the merger of North Valley Reform (founded in 1962 as a split from Temple Beth Torah) and Temple Beth Torah (founded in 1951 as a split from Temple Beth Hillel; TBT later split back out in 1968). Back in 2001, for TBT, I worked with their historian Shirley Berg to develop a history of the congregation. Through that effort, we identified the rabbis of North Valley Reform — and our February speaker is the fellow who was the student rabbi for NVR when they started, Hal Daum. Since then, Hal has had a long and varied career, including working in real estate, as a parole officer, and as the Executive Director for a number of congregations. We invite you to join MoTAS on Sunday, February 8th (8:45 AM – Breakfast; 9:00 AM – Activity Review; 10:00 AM – Speaker) to learn about TAS in the days before it was TAS. The Monday Night Football season is over and the last Football Squares checks have been sent. Next up: the Superbowl on February 1. Now is the time to buy a Superbowl Sqaure. 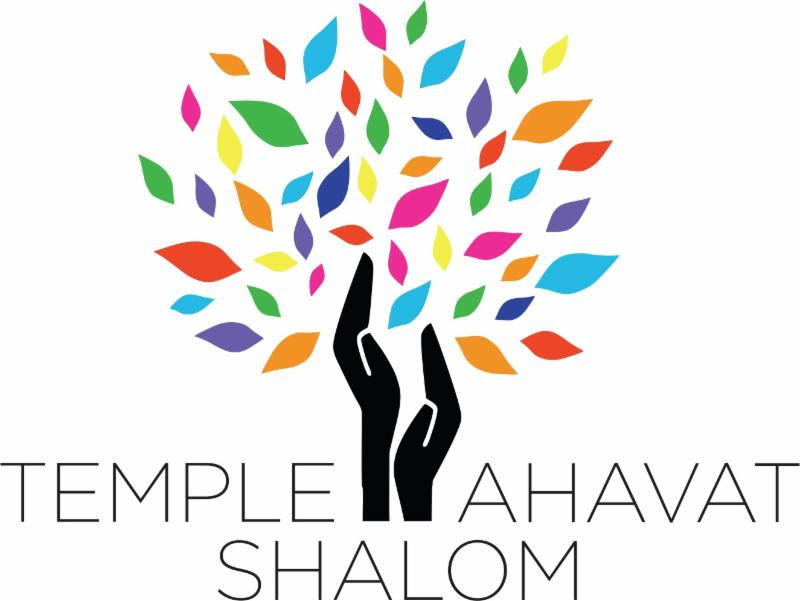 The cost is only $18 per square, and you can help Temple Ahavat Shalom while potentially rewarding yourself. 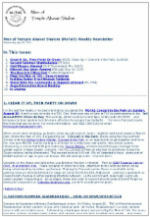 You can register and pay online at http://motascybermaven.eventbee.com/event?eid=194021395, or find the paper registration form, together with the official rules, at http://squares.tasnorthridge-motas.org/. You can also sign up at the MoTAS shabbat. On Sunday, February 22 at 6:00 PM we’re going to be having a very special Mens Only Hang Out and Discussion Group — we’ll be hanging out and talking with Rabbi Lutz. We thank Rabbi Lutz for providing this opportunity, and encourage the men in the congregation to come and discuss issues that are unique to men. Dave Friedman, our event coordinator, is working up some special discussion topics for the evening — and remember, everything said during the meeting stays in the meeting. Additionally, we’re going to be joining the Rabbi for dinner before the meeting with a Barbeque dinner from Stonefire Grill. Space is limited, so RSVP to Dave Friedman (at 818/970-7701 or vp2@tasnorthridge-motas.org) and mail your check for $15 (made payable to Dave Friedman) to Dave Friedman at 19707 Buckeye Meadow Lane, Porter Ranch CA 91326. Dave will provide you the location of the hang out once your reservation is confirmed. This is a Mens Only event. During the MoTAS Shabbat, we’ll be announcing the MoTAS Man of the Year. This is just the start of the festivities for our honoree. On Saturday, March 7, 2015, our honoree will be recognized at the MRJ Regional Man of the Year dinner, hosted at Temple Beth David in Westminster, CA. We hope you can be there to support our honoree, so mark your calendar now. The cost will be $36.00 per person. A signup sheet will be avalablle at the MoTAS Meeting; you can also reserve your space by sending a check for $36, indicating your dinner choice (Brisket, Salmon, or Vegetarian) to Roger Lowe in care of the Temple at 18200 Rinaldi Place, Northridge CA 91326. Make the check payable to “MoTAS | TAS Mens Club” . Many of you saw our announcement last week of our speaker, Councilman Mitch Englander. Unfortunately, Councilman Englander was called away at the last minute to Texas, and cancelled on us on Thursday. Luckily, Lilian De Loza-Gutierrez, the Community Relations Manager for the LA County Metropolitan Transit Authority (LA Metro) jumped in at the last minute, and gave a great presentation on transportation issues in the San Fernando Valley. The discussion was very lively, and both the speaker and the audience came away better information on what is happening and what is needed. A big big MoTAS “Thank You” to Metro for being flexible enough to fill in at the last minute. This entry was posted in announcements by cybermaven. Bookmark the permalink.